Brubaker & Epting show once more why they're a bestselling creative force in their newest spy epic! Ed Brubaker and Steve Epting, the award-winning and bestselling team behind the smash-hit Captain America: The Death of Captain America and Captain America: The Winter Soldier, have reunited at Image Comics on VELVET, a hard-hitting espionage comic set during the height of the Cold War and international gamesmanship. VELVET #1, debuting today, has sold out at the distributor and will be going back to press for a second printing to meet demand. "An intoxicating debut, Velvet is required reading for anyone with a fondness for cheap spy novels and period-piece espionage; for everyone comfortable at the dark end of the street." "Velvet truly does feel like both of these guys at the top of their game doing a series perfectly crafted to each of their artistic strengths." "Brubaker and Epting have shown us time and time again that they make a fantastic team–you’ve likely seen their excellent Captain America work–but this is truly something else." "Steve Epting's art here is evidence why I'm so fond of him as an artist. He jumps right in and captures the feel of the time period perfectly. Combined with Elizabeth Breitweiser's colors, this book is a visual feast." 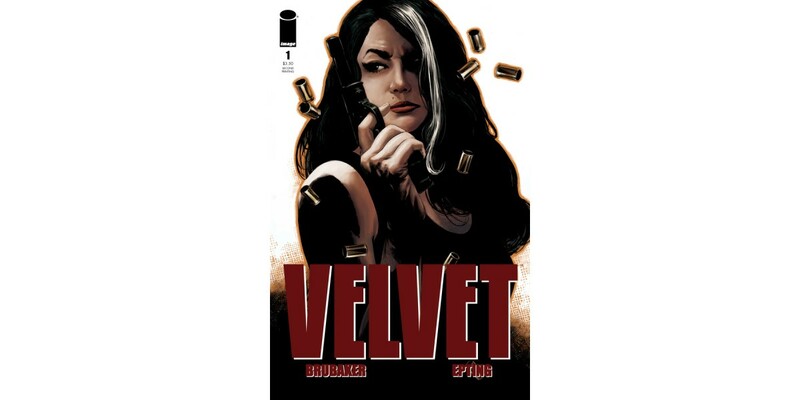 "A brilliant start to a series I am over the moon to see on the stands, Velvet #1 is yet another masterpiece waiting to happen from the hands of Brubaker and Epting."